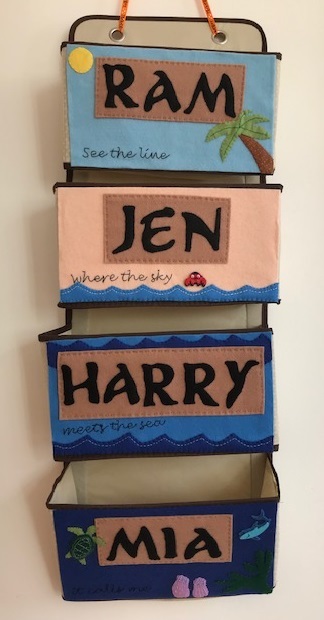 Jennifer's Little World blog - Parenting, craft and travel: How and when do you find the time to...? Today I'm writing all about how I find the time to get things done! We probably do about five loads of washing a week. I just stick it in the machine at some point during the day, then when it's finished I put most of it in the tumble dryer, the rest goes on the radiators. We've only recently purchased a tumble dryer, so before that it just went on the airer. When it's finished drying I fold it up and then put it away as soon as I can. I try my very best to have it all put away the same day, usually just before bed, so that it doesn't build up. Usually in the evenings when the little ones are asleep. I try to write several at once so that I've got a few to fall back on. I often publish them in the morning while I eat my breakfast and then do a quick tweet. I am on my phone at intervals throughout the day checking Twitter and Google Reader. ...Look after yourself i.e wash your hair, paint your nails, have a bubble bath etc. I have a shower every morning while my husband starts the breakfast routine. I don't have baths very often but if I want one I'll have it in the evening. I used to paint my nails all the time but haven't done for ages! We have our evenings to spend together without children and our weekends with children. We watch a couple of films a week and there are a few TV programmes that we're watching at the moment, we like Game of Thrones, The Apprentice and the US Office. When we go to visit his parents we sometimes get a meal out together, or at the very least a quick trip out into town or the supermarket without children! We are also very lucky in that my parents are also very good at (often short notice) babysitting from time to time if we want to get out. I'm on maternity leave at the moment so at home full time, when I go back to work it will be part time so I'll have a couple of days a week with them. We do a lot of crafting things and go to some baby and toddler groups, to the playground, to the beach and so on. We have family time with my husband at the weekends, we often go on a day trip somewhere. We have Merlin passes so we can go to the theme parks which is always a good day out. My parents come down to visit for most of the day many weeks and we go up to my husband's parents about once a month for the weekend. I see the rest of my family every few months, usually when it's a child's birthday. I don't see a lot of my friends without children in tow to be honest, but I'm hoping that will change as the little ones get older. When I do it's usually an evening. I do see friends with children though during the day. ...Prepare an evening meal juggling baby bedtime routine? We all eat together at 6pm, this stems from the fact that my son is a bit of a fussy eater and I thought that if we all ate together then it might help. I start preparing dinner at about half five. It's quite difficult preparing dinner, I usually have a whinging baby. I put the television on and work quickly. If they are getting too whingy and in the way I sit them down early at the table with some cucumber or carrot sticks. I also try and prepare as much as I can earlier in the day when they are happier to be left to occupy themselves, e.g. chopping the veg. We finish eating at about half six, then I go upstairs and do the baths while my husband clears up downstairs. Then he comes up to help and we put one to bed each. The aim is to have both in bed by 7.30pm and everything tidy downstairs so that we can enjoy our evening. Usually a child will wake up at some point during the evening, but they are generally easily settled. I don't really deep clean, I just do bits here and there. I try to keep things tidy and I put away as I go and make sure that the bathrooms and kitchen are cleaned properly once a week and the house is hoovered. Lucky me, my husband usually does the weekly shop at the weekend with one or other of the children in tow. I usually end up in the supermarket at some point during the week to pick up extra milk and bread. I try to make a list as I go along throughout the week as we run out of things. Ha ha, I don't know what that is! I don't iron! Yep, brilliant. your place sounds just like mine. We love The Apprentice. Quality couple time. I enjoy reading specially I can relate to some topics and just get laugh.If I have time to answer the same question.I will share also in my future blog post.